This recall applies to two hip replacement products manufactured by DePuy Orthopaedics, a unit of Johnson & Johnson’s Medical Devices & Diagnostics group. In particular, DePuy has recalled the ASR XL Acetabular System, a traditional hip socket replacement, and the DePuy ASR Hip Resurfacing System, a resurfacing hip implant designed to preserve more bone. These artificial ball-and-socket joints have all-metal constructions, causing metal debris to damage surrounding tissues and muscle as a result of the metal-on-metal friction. Johnson & Johnson announced the voluntary recall on August 26, 2010. DePuy has since posted an ASR Hip Recall Guide on its website to inform affected consumers of the details behind the recall. Alarming failure rate statistics published by England’s National Joint Registry spurred the recall: after five years of implantation, 12% to 13% of patients, or one out of every eight patients, required a second corrective hip surgery. The United Kingdom also issued a recall of these products, as announced by the Medicines and Healthcare products Regulatory Agency (MHRA). While the ASR XL Acetabular System was available worldwide prior to being taken off the market, the ASR Hip Resurfacing System was never approved for use in the United States. DePuy recently informed the Food and Drug Administration (FDA) of the voluntary recall of the former, traditional device. The FDA also published a warning letter, criticizing DePuy’s unauthorized marketing of other hip replacement products without the required market clearance and approvals. Along with the significant failure rates experienced by patients, a myriad of related health problems have been reported as a result of metal debris shedding from these products. Symptoms include hip pain, swelling, and inflammation of the tissues surrounding the implant, as well as the appearance of pseudo tumors. Some patients have also experienced difficulty walking, often due to loosening or misalignment of the hip replacement. Affected patients should also be aware of other potential and serious consequences, including dislocation, infection, bone fractures, bone staining, necrosis, and permanent nerve, muscle, and tissue damage. Even if you are not experiencing any of these symptoms, these products may create a risk of increased metal ion levels in the blood. The use of cobalt and chromium in these products is particularly alarming, since the National Center for Biotechnology Information has reported carcinogenic effects in humans from implantation of these metals. Overseas, the MHRA also reported similar findings demonstrating harmful biological effects. If you received a DePuy ASR XL Acetabular System or DePuy ASR Hip Resurfacing System as your hip replacement after July 2003, you should visit a doctor and contact an experienced attorney for an evaluation of your medical and legal needs and options. If your hip surgery was performed prior to July 2003, your hip replacement is not subject to this recall. To determine whether potential liability exists in a products liability lawsuit against the hip implant manufacturer, it is critical to examine what the patient’s surgeon wrote in the patient’s medical records and post-operative report. Experienced attorneys such as those at Magaña, Cathcart & McCarthy can request these crucial medical and post-operative records to determine the type of hip implant used. If you or a loved one had hip replacement surgery after July of 2003, seek the advice of experienced legal counsel to determine your options and to preserve your rights. Magaña, Cathcart & McCarthy is currently investigating potential claims involving hip implants and representing clients in hip replacement litigation cases throughout the United States. 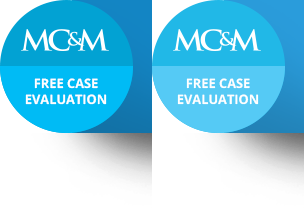 For a free evaluation of your case by a nurse on staff, contact Magaña, Cathcart & McCarthy. Initial consultations and inquiries are offered without charge or obligation.